Caught this post the other day on Techcrunch about Microsoft’s new way of attracting search traffic. 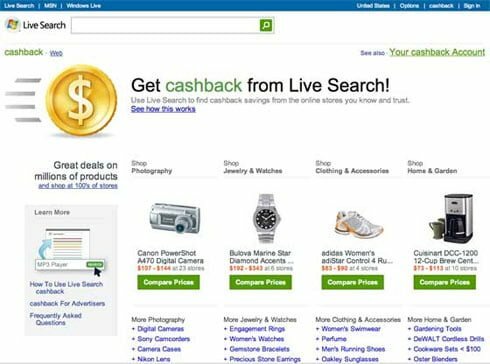 What’s impressing is that this new Live Search Cashback is both a way to attract new people to Live Search and a challenger to Pricerunner, Kelkoo, Compricer and other price comparison services. Yesterday Techcrunch followed up on it’s first post with a great analysis of the press conference. What is shopping? What is branding? What is marketing? Who’s the designer?